Imagine you’ve been tasked with cutting down a tree and then handed a Swiss Army Knife with a mini wood saw to get the job done. 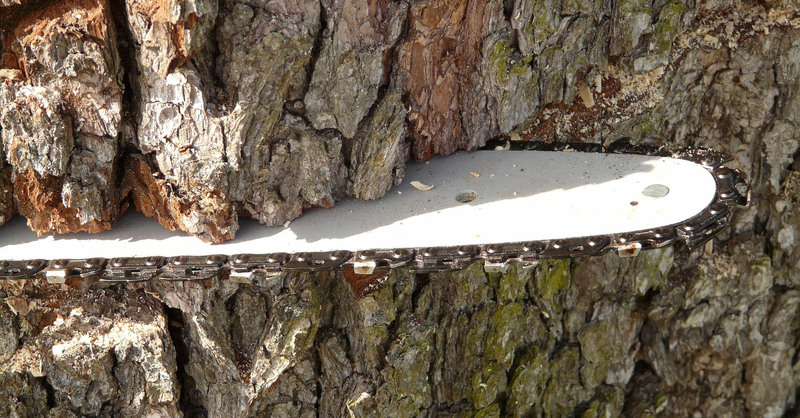 Sure, it can cut wood, but there’s no way it’s going to drop a tree – it’s not built for that. A bow saw will cut it down eventually, but not without significant effort and time spent. Now imagine if you were given a gas-powered chainsaw to get the job done. With a chainsaw, you would complete your job quickly and efficiently. It’s the right tool for the job; without the can opener, nail file, and toothpick to distract you. Now, have you ever had to wrestle with a half-baked inspection module in your CMMS? There’s a lot of talk about integrated solutions for facilities management. But like a Swiss army knife, those solutions are built to address several operational needs at once. Rather than focusing on accomplishing one specialized task very well, it’s a multi-tooled kit with solutions that either aren’t efficient or won’t actually accomplish what you need. Don’t get me wrong, I love my Leatherman, but you won’t find me trying to fell a tree with it. More often than not, CMMS product suites are built on a platform that does one function really well. The additional functions, however, are usually “add ons” that may increase a company’s profits and position the product more competitively in the market but fail to keep the engineer in mind. What gets created is a product suite with one strong tool and a Swiss Army Knife of other “add on” tools of inferior quality. In other cases, some platforms are like a Frankenstein of facilities management – a hodge-podge of functionality acquired from other experts and packaged into one suite. In this case, development slows as the company takes time to learn and understand both the product and its purpose, and the product’s functionality doesn’t keep up with actual user demands – much like using a bow saw for a chainsaw’s job. The high-performing, efficient integrated system is a myth. There are CMMS options out there that are great for creating work orders from tenant complaints but are terrible for inspection rounds. And there are BMS systems that will monitor the intricate details of equipment performance, but they can‘t tell you about the family of raccoons living in your boiler room. A lot of integrated systems become huge headaches for daily operations, requiring system administrators, dedicated IT staff and a lot of money spent on professional services like training and complex customization to fit your job and business’s needs. On the other hand, solutions like LogCheck are built with simplicity in mind. Rather than trying to tackle the whole facilities management lifecycle, it was built by engineers who saw the need to improve the workforce understanding of day-to-day operations and the value of routine inspections. LogCheck is the lumberjack’s chainsaw – a state-of-the-art tool built to do one job well, whose design stays simple, while constantly being improved, allowing the user to continue to do their job efficiently and safely. Want to learn more about how LogCheck can help your routine checks, tasks and reporting? Click here to learn more about our solutions that are purpose-built to make your job easier.